Are you looking for inspiration to create accessories? I have a great shawl for you. see how to create it. 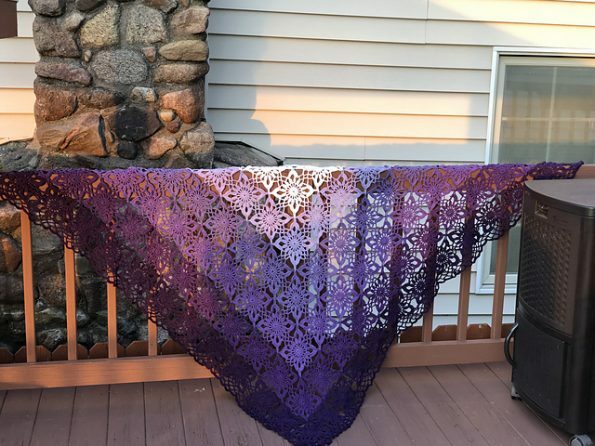 The scarf is in beautiful shades of purple. It has a floral theme. Squares have a size of 10×10 cm. It looks very elegant and tasteful. Fits any type of styling. If you like such patterns this is especially for you. Broaden your knowledge of crocheting and learn new patterns. I recommend. 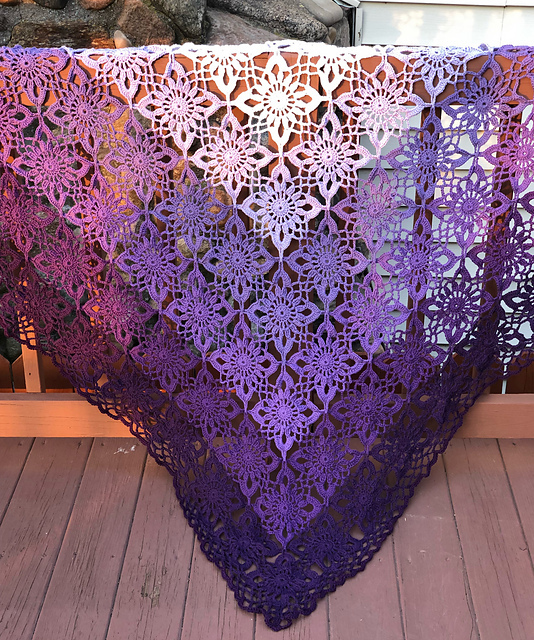 Gypsy Queen Shawl Free Crochet Pattern is here.